At my age it is a shame that I still have to deal with acne. 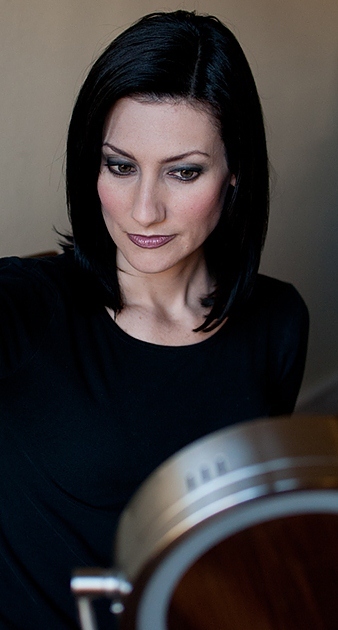 Yes, I’m talking about pimples at 40+! And, don’t even get me started on the red blotches and age spots. Fortunately, IT Cosmetics Bye Bye Redness Correcting Cream helps me deal with all of these problems. Bye Bye Redness™ is a color-infused skin-calming cream that cancels redness from view. This long-wearing, full coverage cream is perfect for all skin types and tones. The universal shade camouflages any red-toned skin discolorations including rosacea, broken capillaries, blemishes, skin irritations, sun damage, scars, age spots and more. In addition, IT Cosmetics Bye Bye Redness Correcting Cream is packed full of anti-aging goodness including colloidal oatmeal, hydrolyzed collagen, peptides, aloe and avocado. This soothing, blendable cream provides coverage that never creases or cracks—and makes skin appear supple, even, and youthfully radiant throughout the day. Apply to clean, moisturized skin. Blend with your favorite brush for flawless color-correcting coverage. 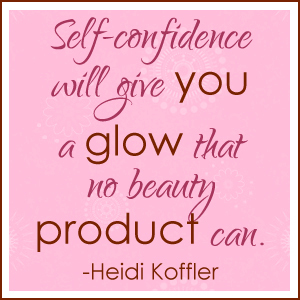 Wear alone or under makeup. CYCLOPENTASILOXANE, AQUA/WATER/EAU, SILICA, PEG/PPG-18/18 DIMETHICONE, DIMETHICONE/VINYL DIMETHICONE CROSSPOLYMER, ISODODECANE, PROPANEDIOL, DIMETHICONE, POLYSILICONE-11, LAURYL PEG/PPG-18/18 METHICONE, PEG-10 DIMETHICONE, MAGNESIUM ALUMINUM SILICATE, SODIUM CHLORIDE, POLYGLYCERYL-4 ISOSTEARATE, BUTYLENE GLYCOL, DECYL GLUCOSIDE, DISTEARDIMONIUM HECTORITE, CETYL PEG/PPG-10/1 DIMETHICONE, METHICONE, HEXYL LAURATE, RETINYL PALMITATE, ASCORBYL PALMITATE, TOCOPHERYL ACETATE, HYDROLYZED COLLAGEN, HYDROLYZED SILK, ACETYL OCTAPEPTIDE-3, DIPEPTIDE DIAMINOBUTYROYL BENZYLAMIDE DIACETATE, ACETYL HEXAPEPTIDE-8, CAMELLIA SINENSIS LEAF EXTRACT, CAPRYLIC/CAPRIC TRIGLYCERIDE, ALOE BARBADENSIS LEAF EXTRACT, OLEA EUROPAEA (OLIVE) LEAF EXTRACT, PUNICA GRANATUM EXTRACT, GLYCYRRHIZA GLABRA (LICORICE) ROOT EXTRACT, CARTHAMUS TINCTORIUS (SAFFLOWER) SEED OIL, VITIS VINIFERA (GRAPE) SEED EXTRACT, CHAMOMILLA RECUTITA (MATRICARIA) FLOWER EXTRACT, PRUNUS DOMESTICA SEED OIL, PERSEA GRATISSIMA (AVOCADO) OIL, PERFLUORODECALIN, NIACINAMIDE, GLYCERIN, CARBOMER, POLYSORBATE 20, PALMITOYL OLIGOPEPTIDE, PALMITOYL TETRAPEPTIDE-7, ETHYLHEXYL PALMITATE, SILICA DIMETHYL SILYLATE, HYALURONIC ACID, CHOLESTERYL NONANOATE, CHOLESTERYL OLEYL CARBONATE, CHOLESTERYL CHLORIDE, COLLOIDAL OATMEAL, MAGNOLIA ACUMINATA BARK EXTRACT, CHRYSANTHEMUM PARTHENIUM (FEVERFEW) EXTRACT, CITRUS GRANDIS (GRAPEFRUIT) PEEL OIL, LITHOSPERMUM OFFICINALE EXTRACT, AGARICUS BISPORUS (MUSHROOM) EXTRACT, GLYCINE SOJA (SOYBEAN) SEED EXTRACT, CURCUMA LONGA (TURMERIC) ROOT EXTRACT, PHENOXYETHANOL, ETHYLHEXYLGLYCERIN, [+/-: TITANIUM DIOXIDE (CI 77891), IRON OXIDES (CI 77492, CI 77491, CI 77499)]. Now, thanks to hormones and spending too much time in the sun, I have to deal with pimples, blemishes, and age spots all at the same time. Oh, and wrinkles. I’ve got some fine lines and wrinkles popping up too! It doesn’t seem fair or right that a 40+ woman should have all of these things going on simultaneously. What’s that you say? You feel my pain because you too are experiencing adult acne along with other imperfections. Excellent! Now I know I’m not alone in my misery. Well, let me tell you about a product that has helped me deal with these problems. It doesn’t get rid of the problems, but it will make it so no one has to know that you have skin problems. What is this miracle worker? 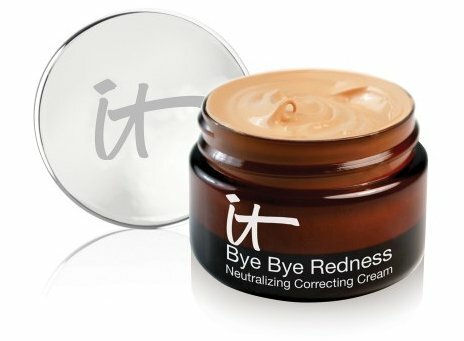 Bye Bye Redness Correcting Cream by IT Cosmetics. I use this this amazing correcting cream to hide every imperfection on my face from zits to brown spots to rashes. Sometimes I’ll use it like a foundation and cover my entire face with Bye Bye Redness. Other times I’ll use it like a concealer to spot treat problem areas. I’ve used it with and without primer. I have mixed it with my favorite CC cream. 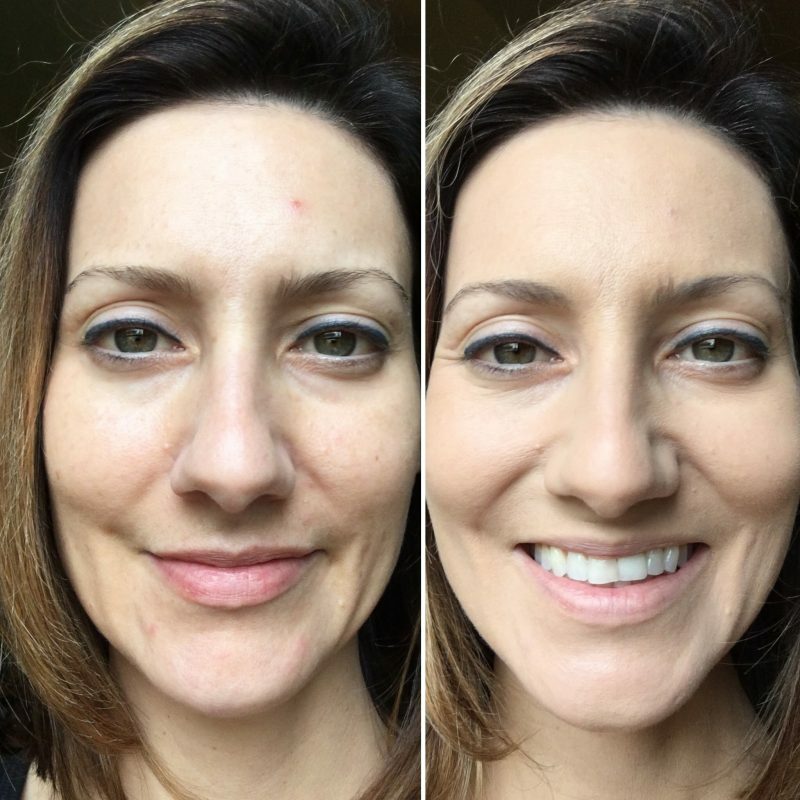 No matter how I use it, I love the results I get with Bye Bye Redness – no zits, no red blotches, no age spots, etc. Pretty Proof gives Bye Bye Redness Correcting Cream by IT Cosmetics 5 out of 5 crowns. 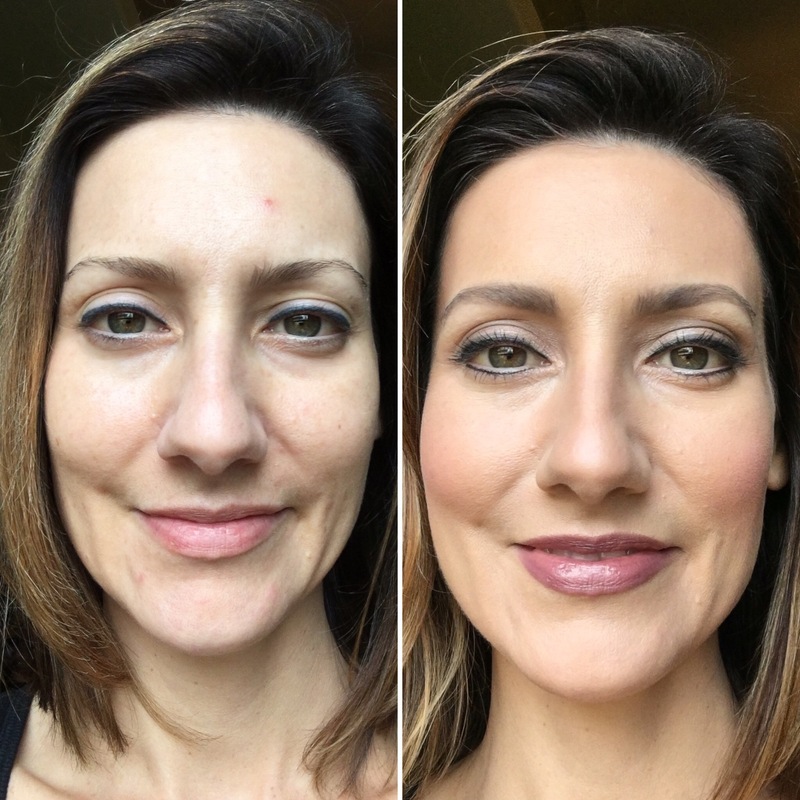 This full coverage cream works as promised to camouflage rosacea, broken capillaries, blemishes, skin irritations, sun damage, scars, age spots and more.